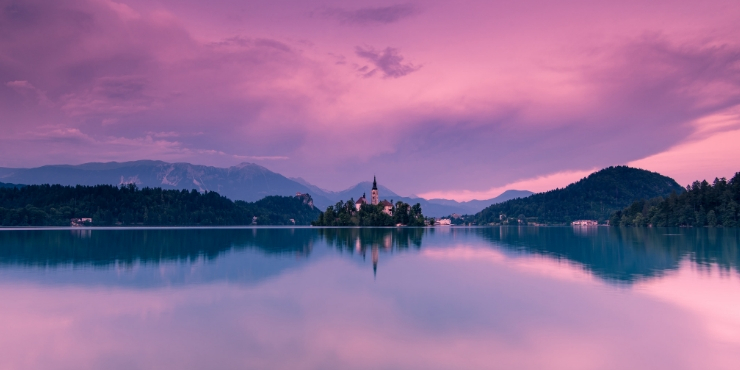 One of the most popular destinations in Slovenia is Lake Bled. Situated only 55 kms north west of the capital Ljubljana. The lake and adjoining town of Bled can be found on the edge of Triglav National park. Surrounded by the Julian Alps (named after Julius Caesar) which stretch from Italy to Slovenia this is an area famed for its natural beauty. Lake Bled is becoming a very popular destination for tourists so can be extremely busy in July and August. Don’t avoid visiting Lake Bled if this is the only time you can go. 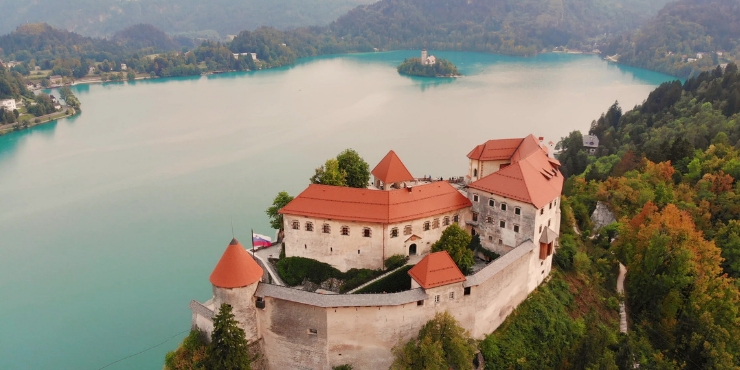 It really is like something out of a fairy tale – a stunning lake, a tiny island with a church and a castle perched on a cliff top overlooking it all. 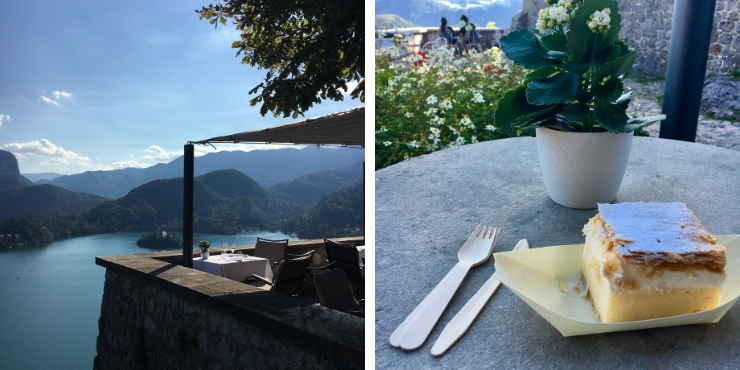 Whilst it is possible to visit for a day trip though I would recommend a longer visit if you can as there are lots of ideas of what to do around Lake Bled. 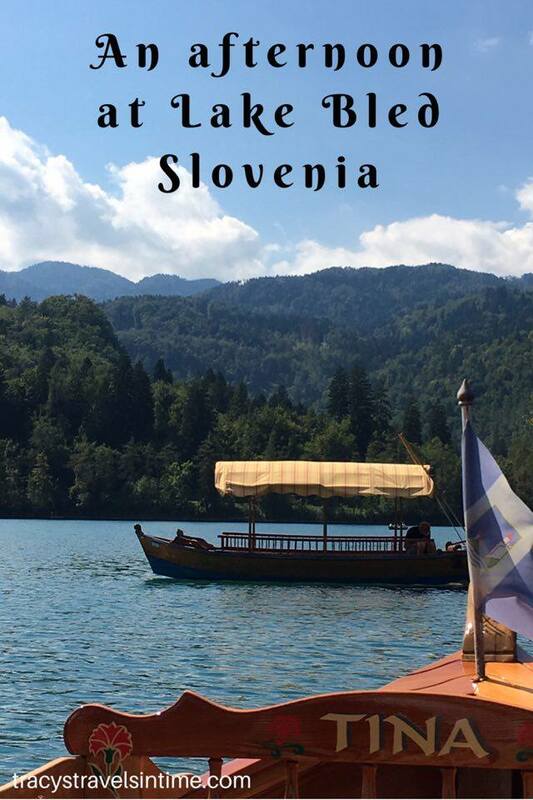 If you want to visit the tiny island in the middle of Lake Bled you will need to take a pletna. A pletna is a flat bottomed boat with a roof. No motorised boats area allowed on Lake Bled so you are actually rowed to the island. It is a great experience and the views are spectacular of the castle and the island. If you are feeling energetic you could hire a boat and row yourselves but my view is that this is a great way to support the local people who own the pletna. It cost us 14 Euros (return) each for the trip and once we arrived at the island we had half an hour to look around. When you arrive at the island you alight at the 99 step South Staircase which was built in 1655. Traditionally brides are carried up the steps by their groom to ensure a long and happy marriage. Sitting atop a cliff looking over Lake Bled is Bled Castle. The oldest castle in Slovenia its first mention in historical documents was in 1011. While the castle walls are Romanesque all the other castle buildings are Renaissance in origin. The castle became very famous during the 19th century when it was used as a sanatorium founded by Arnold Rikli. The rich and famous of that day flocked there to try his therapies. As well as looking at the various historical artefacts in the castle you can see the castle printing works or try some of the local wines in the castle wine cellar. The views of Lake Bled from the castle courtyard are superb too. Tip – The walk up to the castle is very steep and can be slippery so wear suitable footwear. Layers of puffed pastry, whipped cream, custard combine to produce the famous Bled cream cake. You can buy them everywhere in Bled and I highly recommend trying one. We tried one when we were at Bled castle. It certainly was a cake with a view! 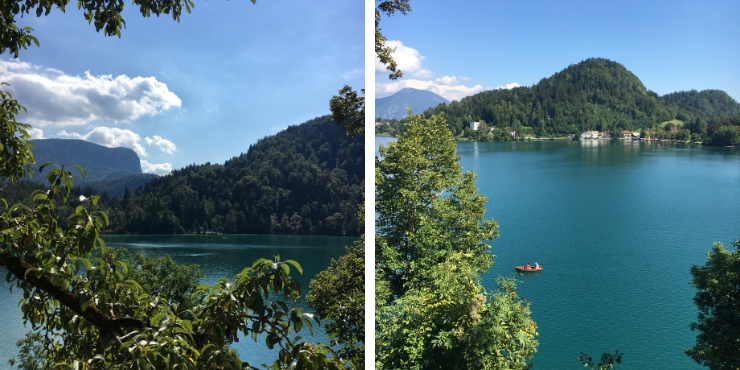 It is one of the commonly asked questions – Can you swim in Lake Bled? The answer is yes it is possible to swim in Lake Bled (I would only do this in high summer) and the clear turquoise water was very inviting. There were plenty of people taking a dip in the lake when we visited in the designated swimming areas. If you prefer there are kayaks or rowing boats for hire around the lake. 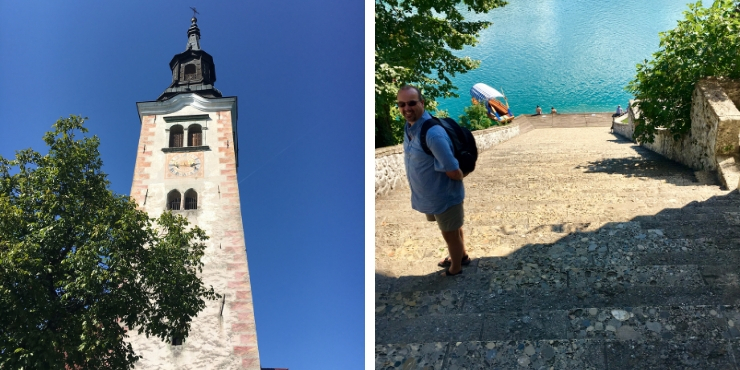 The walk around Lake Bled is 6 kms and will provide you with stunning views at every angle. The walk will take an hour (or two if you take lots of photographs. I have read that the path is not suitable for bicycles as there is no room for them and pedestrians. 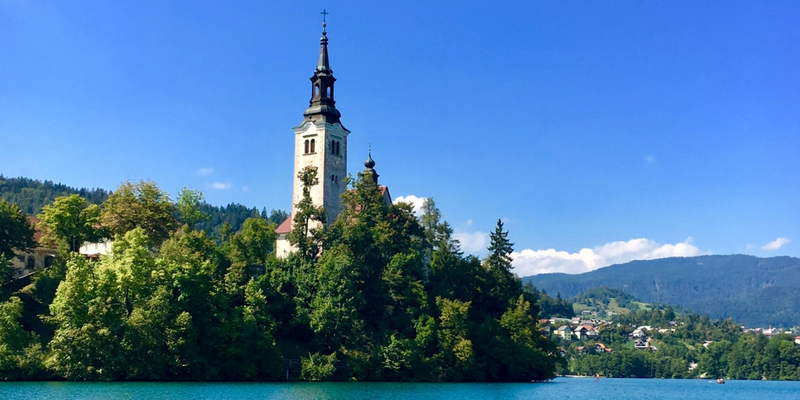 There are a number of great tour options for day trips from Ljubljana to Lake Bled. This is what we did as we were short on time. 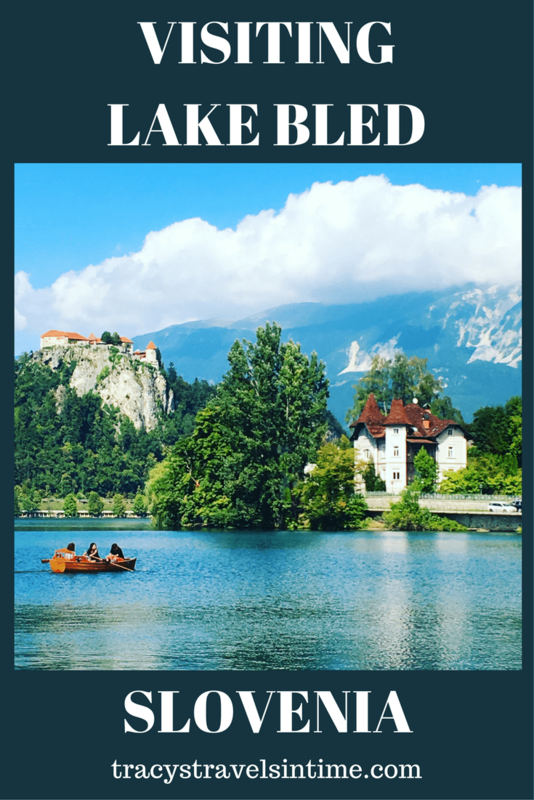 This is an excellent option if you want to see Lake Bled but don’t want the hassle of trying to get there on public transport. 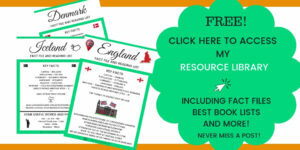 These are my top selections for Lake Bled from Get Your Guide. Lake Bled is easily accessible from Ljubljana by bus. The trip takes an hour and 15 minutes and costs under €13 for a return ticket (valid for 30 days). Click here to check the timetable and purchase a ticket. If you (like us) prefer to take the train it is possible. 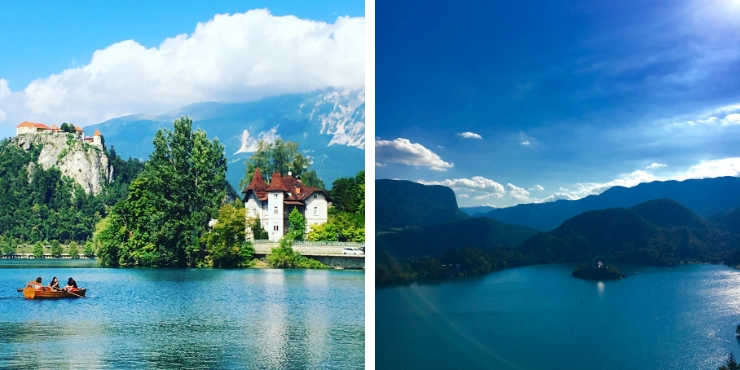 Catch the train from Ljubljana to Lesce Bled which is 4 kms from the lake. From Lesce Bled take a bus to the lake. 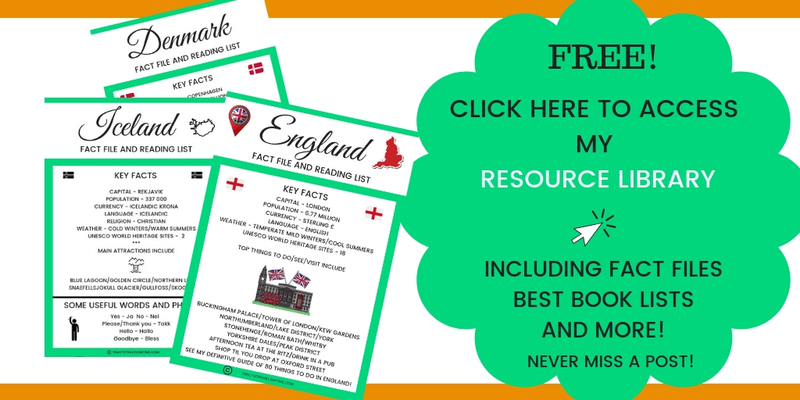 Alternatively take a tour or hire a car and drive to Lake Bled. There are numerous accommodation options around the lake. The Vila Bled which was the former residence of President Tito. 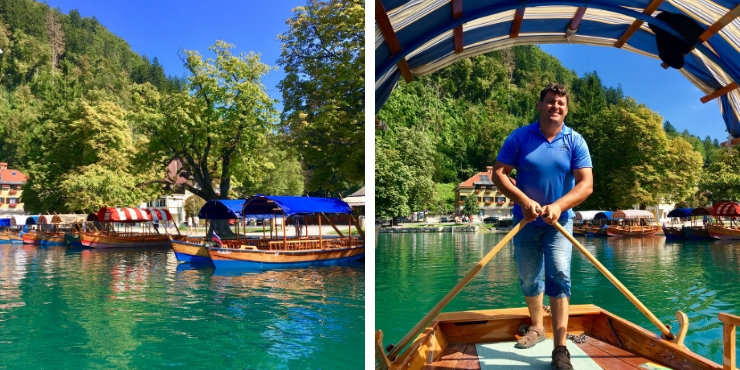 The Čarman Guest House which has its own private pier and wooden rowing boat for hire! Also located with excellent views across the lake. WEATHER IN LAKE BLED – WHEN IS THE BEST TIME TO VISIT LAKE BLED? The peak time to visit Lake Bled is during the summer months. With temperatures in the late 20’s and a lake warm enough for a dip this is a great time to enjoy the region. The only down side is the popularity of Lake Bled – it will be busy and crowded in summer. However I have seen photographs and read about Lake Bled during the winter and it really does become a fairytale winter wonderland. When to visit Lake Bled is entirely up to you – whichever season I am sure you will have a fantastic time. Read more about what there is to do in Lake Bled during the winter months. I was really looking forward to this post and I can see why you had such a lovely time. Yes definitely recommend having another visit as in the sunshine it is even more gorgeous!Thanks for popping by and for your comment! Wow! I haven’t been to Slovenia yet but this is so beautiful! I absolutely have to visit. It’s such a beautiful part of the world – I adore Serbia and Bosnia. Yes it is beautiful. We also went to Bosnia and Croatia for the first time this summer. Really enjoyed it! Brilliant thank you! I also have a post (written last week about Ljubljana) i would love it if you read that too! tracystravelsintime.com/ljubljana Thank you so much for popping by and reading my post! 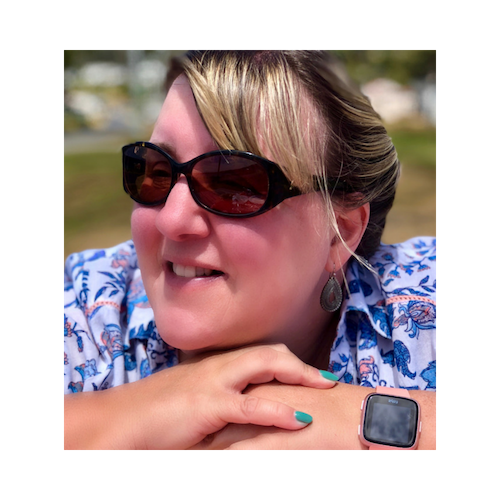 Thanks Elizabeth – Slovenia was a really pleasant surprise and we really enjoyed it. I would definitely go back for longer next time! This place is so pretty! Seems like the weather was perfect when you visited. I like that you had time to explore and visit different points. Thank goodness there are no motorized boats on the lake. I’ve always wanted to go to Lake Bled, those views are just gorgeous. It looks really serene, I didn’t realise they don’t allow motorised boats but that makes a lot of sense. The views from that restaurant are stunning, and cake too – winner. I’m picky about castles too, but I think that one looks worth visiting for sure. 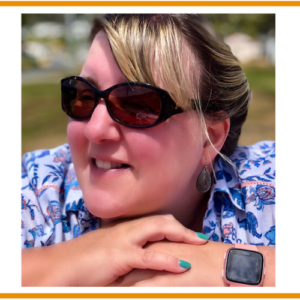 hi Rachel – it is a beautiful part of the world. The cake is pretty good too! It is great on the lake as there is no noise or pollution from motorised anything – very peaceful! 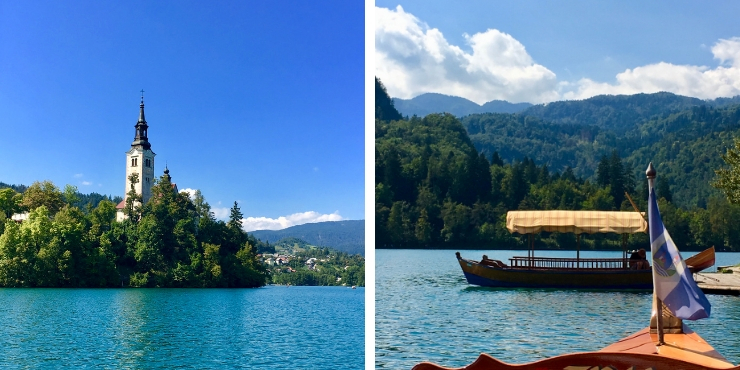 Lake Bled is way up there on my list of dream destinations, it just looks too pretty to be true 🙂 And these photos have only confirmed that! Wow the view from the castle is breath-taking! Would love to visit Slovenia one day! Do you happen to have the Viator tour # in your account? I can not seem to find an afternoon tour anywhere and I have the same circumstances as you did. Thanks!